The first phase on the HCG diet, is known as the “loading” phase. The second phase is known as the “weight loss” phase, and the third phase is all about “maintenance”. Without a doubt the first phase will be the easiest portion of the diet protocol, however it only lasts for two quick days. Often times, because it is so unlike any other diet, many individuals struggle with the idea of determining the correct types of food to eat during phase 1. Here we offer two alternatives, a healthy solution and a not so healthy approach. Here are some HCG diet tips for phase 1. Phase 1 of the HCG diet requires that you go into a loading mode and eat as many high-calorie, fatty foods as you feel comfortable eating. While you might deem this an odd request, as it seems highly counter-intuitive, you are attempting to store as much abnormal body fat as possible, in an effort to trigger the fat flushing process during HCG phase 2. The second phase will begin on the third day of your HCG diet. What Types of Foods Can I Eat? You can consume foods like pizza, hamburgers, and fried chicken along with a large variety of high-fat desserts including donuts, cheesecake or any other type of goodies. The idea is to eat as much dense food as possible, so now is not the time to hold back on rations of butter and cheese (but only during phase 1). While cheese is considered the ultimate food to destroy any diet, during phase 1, any kind of cheese is considered to be your friend. It is extremely high in fat calories while being a very dense food. This means each individual slice of cheese you add to your juicy hamburger can add as much as 9 grams or 90 calories of fat to your meal. While these two days might seem glorious in eating anything fatty that is desired, it is important to eat some types of fiber to ensure that you do not create any digestive problems. Eating a small salad (with loads of dressing) sometime during the middle of the day will give you all the necessary dietary fiber you need to ensure your entire digestive system operates smoothly. Consider eating some whole wheat crackers (with cheese) later in the day to provide even more fiber. For those that wish to take a healthier avenue during phase 1 to start the process of changing your eating habits, consider foods high in fats but low in processing. While these are only examples of some of the heart healthy fats you can consume while on phase 1, any type of nutrient rich fat would be acceptable. The healthier list of fatty foods would include avocados, avocado oil, tuna, walnuts, olives, macadamia nuts, pumpkin seeds, whole eggs, olives, salmon, sardines, cottage cheese, flaxseed, hazelnuts, Brazil nuts, heavy cream, lake trout, natural peanut butter, almonds, sunflower seeds, mackerel and olive oils. Remember you will most likely be eliminating nearly all of the foods you enjoy over the next 40 or so days. Now is the time to salt your food, or add more sugar to ensure your storing additional body fat for the first two days, and enjoying along the way. The HCG diet has really come to the forefront of popular diets in the few years. Many are doing research to figure out what the diet consists of and what types of food are allowed while taking the HCG drops. It is important to note that there are three separate phases of the HCG diet. The very first phase is obviously the strictest. Depending on what phase you are in, the type of HCG approved foods may change. For example, you are allowed different types of fruits in phase 3 then you are in phase 1. Included below are all of the HCG approved foods. Firstly let’s start with the “free foods”. These foods are essentially “freebies” and don’t have to be counted as part of your caloric intake for the day. Miracle noodles, a special noodle that has no calories, no fat and no carbs, is on the list. Many people have trouble giving up carbs and this is a perfect substitution for all of the carb laden dishes that you will no longer be able to consume. Next on the free foods list is broths. Chicken, vegetable and beef broth are all completely acceptable to eat on the HCG diet. Lastly, there is even a dessert item that made the free food list: sugar free jello is perfectly fine to eat. Here is a list of the meat protein allowed and the caloric amount of each kind. 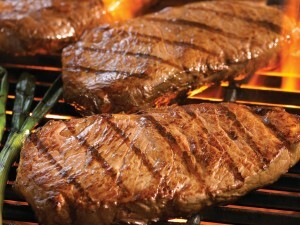 Remember that all meat must be weighed on a scale to insure proper portion sizes. 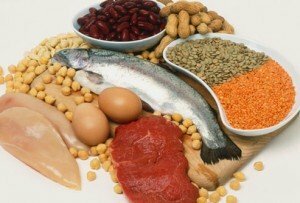 Protein is an incredibly important aspect of the HCG diet and many of the HCG approved foods fall in this category. 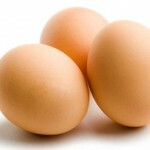 Protein is so good for you because it helps you burn fat unlike simple carbohydrates which store fat. It also helps suppress your appetite by making you feel fuller for a longer period of time. The next list is comprised of fruits and vegetables. This is the complete list of all HCG approved foods. The HCG diet is highly effective because it is centered around a clean eating lifestyle. The internal system cleansing itself during the first phase, and then the next two phases solidify the continued weight loss. Nothing works quite like the HCG drops do. So what are you waiting for? Get started today and you’ll start to see the pounds just melt off! At some point you may be feeling bored or confined with eating a restricted amount of food while you are on the HCG diet. It may be that the idea of eating just one more meal with a simple piece of chicken or fish is too much to handle. And you wonder now that you have cheated on your diet, what do you do? It is important to realize that variety is the spice of life. Something innate deep inside us all tells us we want more change in our life than just eating or doing the same thing every day. 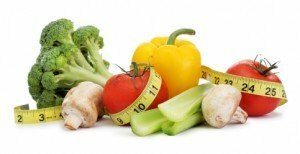 If you cheated once or twice on your restrictive HCG diet and eat some food that is restricted, or maybe consume too many calories in a single day, you need to lighten up, and realize you have not completely jeopardized your weight loss program. Even Dr. Simeons, the doctor that discovered the positive effects of HCG realized the need for taking little breaks along the way, and built into the program the ability to stop taking your HCG drops with a total break after 42 days, or so. Numerous individuals who stay on a healthy HCG drops protocol have discovered that consuming certain foods, though not part of the program, will not cause a disruption or stall in their weight-loss, when eaten now and then. Cottage Cheese – This food is often overlooked as an acceptable alternative to consuming a standard portion of meat while on the HCG diet. It is important to purchase the fat free. You can consume a portion with your daily allotment of fruit. Green Beans – You can easily consume a portion of green beans (no butter or margarine) without going overboard on your calorie count. You can add a dash of salt and pepper to add a little spice to the taste. Crackers – You can consume the whole wheat variety of crackers in place of your approved standard breadstick or Melba toast. Turkey – A small 4 ounce serving of turkey breast (ground or not) equals the same calorie and fat count as approximately 4 ounces rib eye steak. 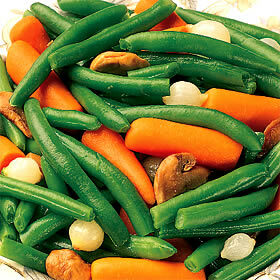 Mixed Vegetables – Some individuals struggle with eating mixed vegetables. However, you can eat a 4 ounce portion and still not consume an additional 100 cal. Watermelon – Many HCG Diet Clinics tell their patients they can have a slice of watermelon any time. With its high water count, and low sugar count, it makes a great addition without cheating on your diet. Meat Stock – With only a fraction of sugar, oil and fat, consider drinking chicken broth, beef broth and bouillon cubes. While it is quite possible to cheat on your diet and immediately stall on your weight loss by eating the wrong foods, choosing the correct foods allows you to cheat a little bit without doing significant damage. Just remember when eating the above seven foods, not to consume them often. Remember also that your HCG drops will work best when you follow the protocol correctly. The hormone Human Chorionic Gonadotropin (HCG), naturally produced in a pregnant woman’s body, allows the embryo to draw fat from her reserves and grow. Whereas a low calorie diet over a period of time starts eroding the muscle mass instead of fat, HCG combined with a 500 calorie per day diet burns the excess fat and keeps the muscle tissues intact. The most common method of delivering HCG into the body is by using HCG drops. They are affordable, convenient and have a long life. Further, studies have shown that it may be beneficial to include vitamin B12 supplementation to the HCG diet. Vitamin B12, also known as the energy vitamin, is not a supplement that contributes to weight loss. It is considered as a slimming aid because of its ability to increase energy levels. 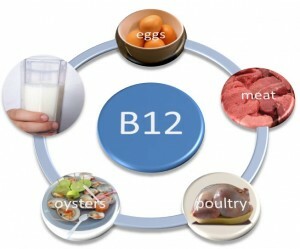 Since vitamin B12 is a water soluble vitamin and its loss from the body is common, it leads to depression and fatigue. People who have vitamin B12 deficiency do not feel like exercising and tend to eat sweets to overcome fatigue. Studies have shown that 1 in 4 people have vitamin B12 deficiency and 1 in 2 has suboptimal levels of the vitamin in their body. Further, strict vegetarians are prone to have vitamin B12 deficiency as animal products are the best food sources for the ingestion of this vitamin. Even vegetarians who consume milk products and eggs may face the risk of having low levels of vitamin B12 in their bodies. This is because their consumption is less than half of the Recommended Dietary Allowance (RDA) of the vitamin for adults. As people who are on a HCG diet have calorie restrictions, they are also prone to have low body level of the vitamin. Helps in the regulation of red blood cells’ formation. Helps the body to utilize iron. Improves digestion, absorption of food and metabolism of carbohydrates and fat. Contributes to the health of the nervous system. Supports cell formation and longevity. Supports blood circulation as well as adrenal hormone production. Boosts body’s immunity to diseases. Induces good mood and a sense of well-being. Aids memory, concentration and mental clarity. The HCG diet plan calls for regular usage of HCG drops with a restriction in the caloric intake to 500 calories per day. However, the challenge is to remain fit while on the HCG fat loss program. Vitamin supplementation, especially vitamin B12, therefore, assumes utmost importance. Vitamin B12 deficiency can cause headaches, shortness of breath, swelling of the face and nausea. Therefore, combining the HCG diet and vitamin B12 supplementation can contribute to rapid fat loss. Oral drops, the most popular way in which HCG is taken, are being fortified with vitamin B12 in view of the benefits that it can provide. Furthermore, the HCG gets absorbed into the blood in less than 5 minutes as the sublingual drops come in pre-diluted form. Avoid all sugars and artificial sweeteners including: sugar, honey, high fructose or normal corn syrup, molasses, aspartame, sucrose, and any other sugars or sweeteners. However, Stevia and Saccharin be be used as a sweetener, if needed. Avoid all starches including: pastas, breads, wheat, rice, potatoes and the like. Avoid all fast food restaurants, nitrites, trans fats and hydrogenated oils. Avoid eating fatty fish and mono-sodium glutamate (MSG). Exercise including: walking for one hour a day, go to yoga classes and partake in any type of weight resistance. Spend 20 minutes in the sun and 20 minutes in an infrared or conventional sauna. Eat six times a day, including a big breakfast. Lunch and dinner should always include a big salad. Eat at least 2 organic apples and 1 organic grapefruit each day. Add cinnamon and hot peppers to food whenever possible. Take the following supplements and vitamins daily: Vitamin E, AlphaCalm, krill oil and a whole food supplement. ThreeLac should be taken as directed and Acetyl L-Carnitine should be taken on occasion. Each day have 1 – 3 teaspoons of apple cider vinegar and a teaspoon of organic coconut oil 2 times a day. Ensure the continuation of drinking Eleotin tea 3 times a day or as the directions suggest. Drink various organic teas such as: Wu Long, Green, Yerba Mata and Chamomile in any desired quantity. Drink 1/2 – 1 gallon of pure spring water everyday. Digestive enzymes should be taken with food. Fiber from flax seeds, acacia or oat brain should be added into foods daily. Probiotics should be taken daily. Dinner should be finished at least 3 ½ hours before going to bed. Occasionally throughout the third phase, eat organic chicken, beef, fish, turkey or veal in 100 gram quantities before going to bed. Sleep 7 – 8 hours every night and keep a consistent routine. It is recommended to be asleep by 10 p.m. and awaken at 6 a.m. everyday. Body care products, lotions and creams are allowed if they do not contain propylene glycol and sodium laurel sulfate. Remember that these are just helpful HCG tips and are not required for success. -The day you notice weight gain, do not eat until 6 p.m. Although no food is allowed, it is vital to drink a minimum of a half a gallon of pure water, but no more than one gallon. The various teas mentioned above should be drank as well. For dinner, an organic steak, ideally a large one, should be eaten and it is allowed to be seasoned with everything but salt. An organic, uncooked, tomato or apple is also allowed. Phase three is when you will become aware of your appetite. Typically, dieters will put more food on their plates than they can eat. It is essential that you realize when you are full and stop eating. You do not want to overeat. Eating and chewing slowly will help you adjust to your new food limitations and realize when you have eaten enough. Since this phase includes three meals and three organic snacks, people will have to adjust to earlier habits and understand to stop eating when they are full versus when their plates are empty. It is very important to be relaxed when eating, this means that you will want to sit at a table and eat. Do not eat when you are driving, standing up or watching the television. The idea is to be relaxed so you can enjoy your meals and take your time. This ensures that you know when you are full without any outside distractions. Many dieters get discouraged that they are not losing weight during phase 3. However, phase three is meant to adjust the body to a higher amount of protein intake. Any weight that is lost after phase 2 is likely lost from muscle. If an appropriate amount of protein is not eaten during phase 3, the body will begin to retain water and the dieter’s weight will rise. This water indicates a deficiency in protein and is caused by not following phase 3 strictly. The HCG diet, like any other diet, should only be undertaken after a consultation with a health care professional. However, those who are allowed to go on the HCG diet and follow the regimen thoroughly will see long last results. The body will store fat more efficiently, the dieter will be healthier and skinner and they will finally be able to control your weight. The meal choices on the HCG Diet is low in calories which helps promote the most significant weight loss of any diet that is out there. Breakfast is a time in which most people are at their hungriest because they have not eaten for many hours. However, on the HCG low calorie diet that usually only consists of taking in 500 calories is very limited in choices for breakfast. In fact, the choice that people are limited to is coffee and tea without any type of sugar added. You can add an all natural sweetener called Stevia. The amount that they drink is unlimited, which means that you can satisfy the appetite through drinking more of these liquids than what they normally would intake. One tablespoon of milk is allowed to be used, however, this tablespoon of milk is not for every drink that you use, this is the total that you are allowed throughout the day. So most people choose to use this on the first cup of coffee or tea that they ingest. Throughout the day, the lunch and dinner meal options is where people are going to get the most of their fuel. However, for those that find that that are frequently hungry (which is rare), they can drink water, tea and coffee throughout the day. An important part of losing weight on the HCG diet program is understanding the food pyramid and what proper nutrition you should be putting into your body. When you begin the diet whether you choose to go with HCG diet drops or HCG injections, you will find that your calorie intake is drastically reduced, making it that much more important that you get all the correct vitamins and nutrients from the food you are allowed to consume. Once you understand what is allowed and how much of each area of the food pyramid you should be eating, you’ll then be able to start making delicious recipes that are in accordance with the diet program. 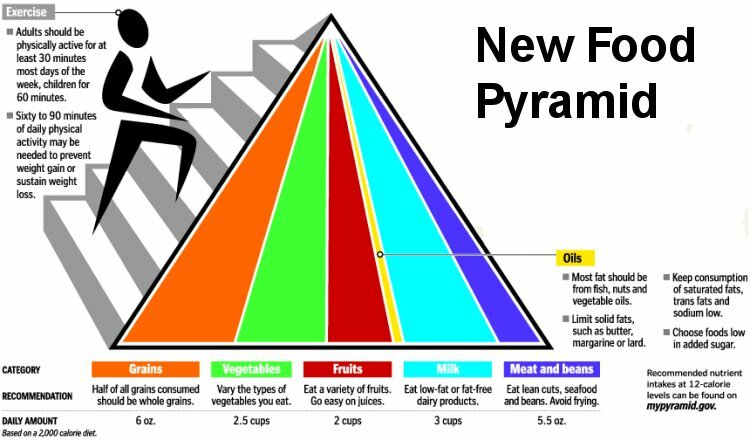 The food pyramid has been put in place by the United States Department of Agriculture (USDA) as a guideline for what the average person should consume in a day. 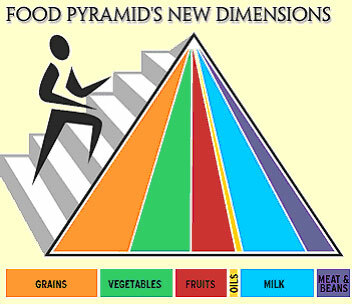 The pyramid consists of six different groups: carbohydrates, vegetables, fruits, fats, dairy and protein. The USDA recommends a mix of all six groups in order to live a healthy life. When you get started on the HCG diet, your daily intake of calories will come from 25% carbohydrates, 35% healthy fats and 40% from proteins. When you are on the HCG diet, you can get your daily amount of grains and carbohydrates from either garlic or wheat Melba Toast. However, the toast does not necessarily have to be consumed. 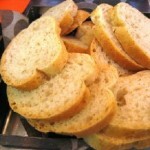 There have been some individuals who have reported losing more weight once they completely cut out toast altogether. There are other approved grains, but this should be a very small portion of your daily calorie intake. When people think of fats, they tend to view them as detrimental to diets and something to stay away from. However, there are different types of fats in foods, with some of them being healthy and vital to the success of your diet. For example, the fats found in seafood, lean meats and poultry are good for you and help your body function better by keeping the sugars you consume from rushing through the body too quickly. Good fats are also found in nuts, avocados and oily fish. Just remember that although these types of fat are good for you, they are still quite high in calories. Protein will make up a significant amount of your daily calorie intake. The protein you consume can be from fish, poultry and lean meats. If you are a vegetarian, you can substitute the meat for eggs, a small glass of skim milk or 3.5 oz of fat free cottage cheese. Remember, however, that as a general rule no dairy is allowed in the HCG diet, so you may experience slower weight loss. Many people who are interested in the HCG diet program want to know whether or not alcohol can be consumed while participating in the diet. While it is not recommended or advised to consume alcohol while on the diet, it does not have to be completely thrown out. In fact, some people have found the HCG diet to be extremely successful even with the occasional alcoholic beverage being consumed. The reason why alcohol should be avoided is because it is basically just empty calories. When you are on the HCG diet whether injections or hcg oral drops, your daily caloric intake is drastically reduced, making it that much more important to consume foods that are healthy for the body. Contain an overload of sugar, especially when consumed with soda and other high-calorie mixers. Essentially ruin the weight loss from the HCG formula. The good thing about the HCG diet is that it has been shown to reduce alcohol cravings in regular social drinkers. This is because HCG interacts directly with the hypothalamus. It helps control the area of the brain responsible for eating and drinking. So not only does it curb your food cravings, but also your craving for alcoholic beverages. This helps you keep your consumption of alcohol to a minimum so that you can achieve the most from your diet. If you must have a drink, there are a couple options. 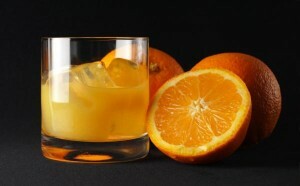 The first is to have an orange juice and vodka. To reduce your calories to a minimum when having a drink, you might try having a vodka and soda water with a squeeze of lemon. Remember that this should still only be consumed on occasion and in moderation. Even if you do have a drink or two, do not feel like you have ruined your diet. It seems that a single drink does not tend to have a lasting effect on the overall weight loss of the dieter. Once you are finished with the diet, you will be allowed to incorporate small amounts of alcohol back into your lifestyle. For example, you can have a single glass of red wine with your meal to take advantage of the various health benefits of wine. Remember that as a general rule, it’s best to stay away from most forms of alcohol in order to maintain your new, healthy weight in the long run. You’ll feel much better for it, and will notice the cravings diminish overtime. Once you begin your HCG diet program, you will be very restricted when it comes to the foods you are allowed to consume. One of the big areas you will have to tackle is sugar. The only sweetener that is permitted on the diet is the all-natural sweetener Stevia. This is because the diet needs to keep your blood sugar levels in check for optimal energy levels and weight loss. Here are a few tips for helping to steer clear of sugar and sugary foods while embarking on your new diet. When you are at the grocery store, it’s very important to read labels carefully. Some foods might surprise you in sugar content. For example, while ketchup may seem healthy since it is made from tomatoes, it actually has a huge amount of sugar in it and should be avoided. In general, you will want to stay away from any overly processed foods as they will have large quantities of sugar. Try sticking to fresh fruits, vegetables, lean proteins and whole grains. 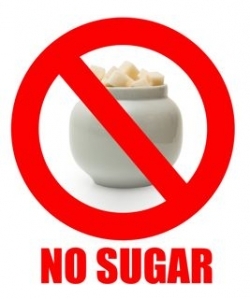 Stay away from foods with sugar on the label or in the ingredients, including sucrose and corn syrup. Stay away from overly processed foods. Look for products that say Sugar-Free. When you first begin your diet, it’s a good idea to eat in and avoid going to restaurants. The problem with eating out is that you have no way of knowing just what went into your food, or have any control over it. When you are cooking at home, try experimenting with different spices to give you the flavor you need to keep the sugar cravings at bay. If you must eat out, order lean meat or fish without any sauce, and ask for steamed vegetables instead of grilled, fried or sauteed. It can be very hard to break a sugar habit if you are used to consuming sugary foods like donuts, cakes and other sweet treats. Because the cravings might hit you, it’s best to get those types of food out of your pantry in order to avoid any type of temptation. To try and satisfy your sweet tooth, try swapping your usual favorites for whole fruit, fresh fruit juice and herbal teas. Remember that you are allowed to use Stevia, so if you absolutely need something sweet, you can add this to your drinks and snacks. 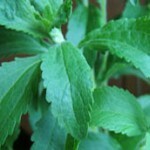 Stevia comes from a plant commonly known as sweetleaf or sugarleaf. Stevia is virtually calorie-free and hundreds of times sweeter than table sugar so it makes for an excellent replacement to normal sugar. When you start your new diet, the first few weeks without sugar will be the hardest. It’s important to push through those days and remember that it does get easier. Think about your end-goal and how you want to lose weight and live a fuller, healthier life overall. You will find that the sugar cravings will eventually diminish, and you’ll start to have a desire for good, whole foods instead. By the end of the diet you may even find that you have completely rid yourself of the need for sugars and sugary foods. Read more directly from Dr. Simeons book Pounds and Inches.